The Village of Zionsville, 14 miles northwest of Indianapolis in Boone County, is well-known for the upscale boutiques, art and antique shops, and quaint eateries that line its charming, brick-paved Main Street. Zionsville's 5,000 residents also enjoy the top school system in the state as well as community parks, sports leagues, and other recreation venues that contribute to the village’s idyllic feel. 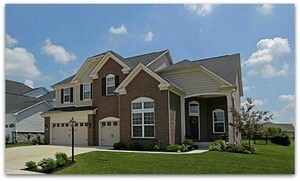 Zionsville real estate is among the most spectacular in Central Indiana, as well as the most unique. You'll find everything from turn-of-the-century bungalows in the historic downtown area, to sprawling country estates and horse farms along the town's rural roads. Of course all this charm and beauty comes at a cost - Zionsville real estate is also some of the priciest you'll find in the Indianapolis area but residents agree that the benefits of living here are well worth it!